LA PETITE MORGUE wishes our Artistic Director, Chelsea Holland, all the best of luck with her move to L.A. 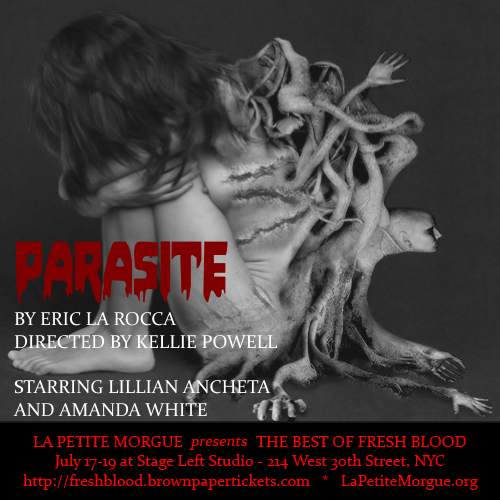 The future of LA PETITE MORGUE is uncertain, but we appreciate your interest and support. We hope to someday resume making horror happen - whether in NYC, or in a new home on the West Coast. Read Part 1 for Films 10-6. As I mentioned in Part 1, I am by no means suggesting that the following cinematic works are the most flawless representations of the genre and deserve to trump all other horror films. These films merely resonated with me on a personal level and are still greatly influential on my path as a young writer and enthusiast of the art form. These are films to which I look for inspiration. My hope is that you will read the list, check out some of the films, and develop and share your own opinions. And here's my final 5! When Clive Barker crash landed on the literary landscape in the early 1980’s with the release of his collection of original short stories entitled The Books of Blood, horror icon Stephen King predicted Barker to be “the future of horror.” While of course Barker’s stardom unfortunately never matched the level of King’s, his work is incomparable and in many ways outshines much of King’s work with a poetry in his prose and an astoundingly unique ingenuity in the presentation of his terrifying material. Prior to releasing The Books of Blood, Barker had been directing low-budget independent films and touring England with his fringe theatrical troupe, The Dog Company. In fact, many of the plays they presented that Barker had penned predicted many of the themes Barker would later explore in his successful commercial feature films. For instance, Barker’s homage to the Grand Guignol theatre, Frankenstein in Love, predicts Hellraiser with grisly depictions of torture, most importantly with a scene in which a central character is flayed alive in front of the audience. Regardless, it was Barker’s directorial debut with Hellraiser that solidified his name as a bona fide Master of Horror. 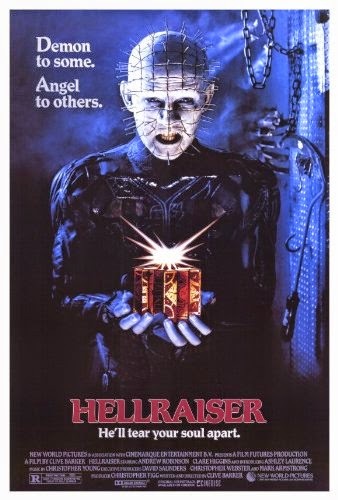 Hellraiser was adapted by Barker from his novella, “The Hellbound Heart.” The plot follows a seeker of infinite pleasure who solves a mysterious puzzle box that opens up a sadomasochist world of Hell administrated entirely by an infantry of demonic sadists, known as the Cenobites. 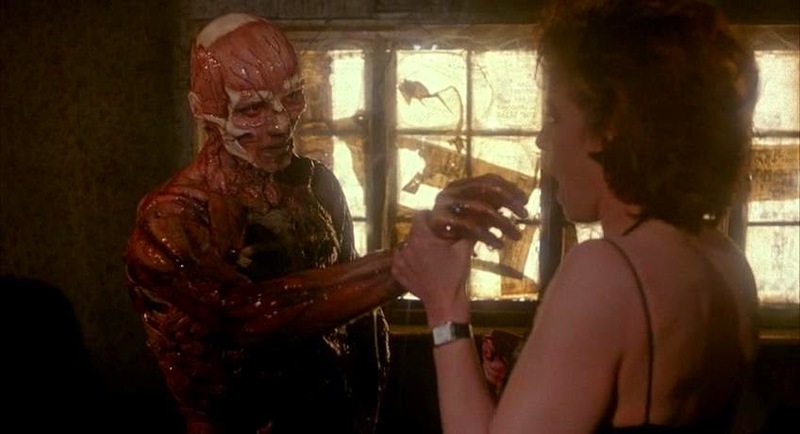 After his corpse is reanimated from the Cenobites' dimension devoted to pain by receiving a single drop of blood, he forces his married ex-lover to bring him human sacrifices in order to fully regenerate his strength. While the plot of Hellraiser is refreshingly unique in its own merit, it is Barker's competent direction and brilliant cinematography that turn the piece from a run-of-the-mill demon horror picture (a tired subgenre sodomized by uninspired horror directors by the 1980's) to a matchless work of art. The images with which Barker assaults his audience are both profoundly beautiful and yet unquestionably unique with their ingenuity and horror. Much like his literary work, Barker contradicts astounding beauty with astonishing disgust. Not only are the visuals a treat for the eyes with their artistry, but the characters are fascinating and operate realistically in an otherwise fantastical world. His characters are wealthy with real human needs and wants that effectively propel the development of the story. Hellraiser is truly unmatchable in its creativity and flawless delivery of fantastical monstrosities. 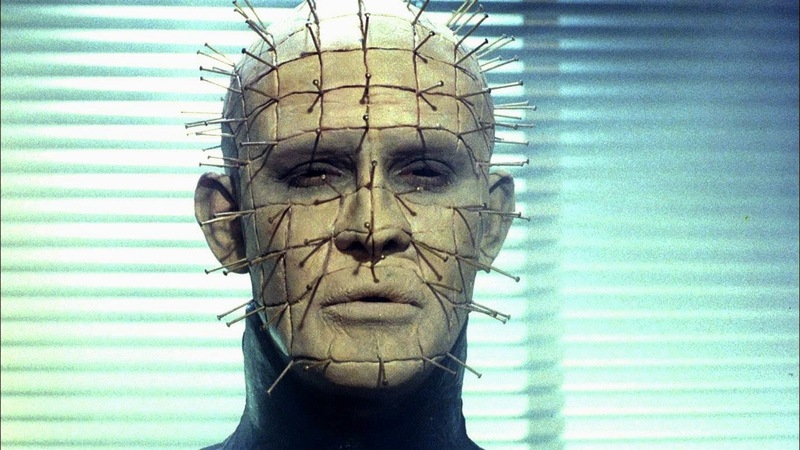 While Barker’s later films excelled too in their individuality and inventiveness, Hellraiser is by far Barker’s crowning achievement and a venerated yard stick by which all other directorial debuts in the horror genre should be measured. At a very young age I respected and admired the art form of the horror genre. Perhaps I responded so intimately to horror considering the fact that the genre is widely criticized and rebuked by most mainstream audiences and at a very young age I too felt very disenfranchised and unequal to my peers. Perhaps I responded to the genre because horror is an art form that has struggled desperately to be taken seriously and I too felt very ineffectual and disrespected in my youth. Regardless, since childhood I have done all I can to study the genre and educate myself by watching and reading the masterworks and miscarriages of this widely lesser appreciated genre. This list is certainly not conventional. Perhaps you’re entirely unfamiliar with some of these films. Some of you might even be saying, “Where’s Rosemary’s Baby? Where’s The Exorcist? What about Psycho?” I am by no means suggesting that the following list of cinematic works are the most flawless representations of the genre and deserve to trump all other lists of horror films. These films merely resonated with me on a personal level and are still greatly influential on my path as a young writer and enthusiast of the art form. These are films to which I look for inspiration. My hope is that you will read the list, check out some of the films, and develop and share your own opinions. 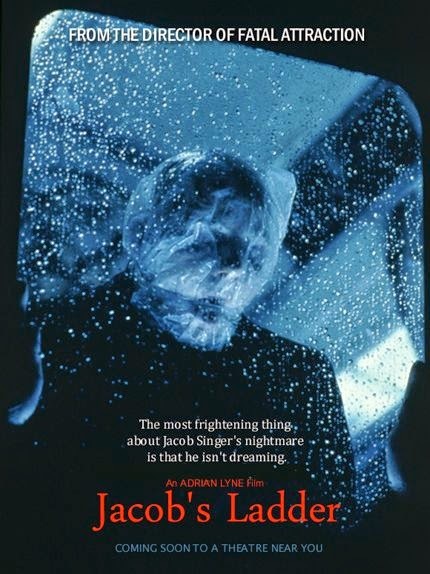 Coming in at number 10 on my list is what I consider to be the greatest psychological horror film of all time – Adrian Lyne’s Jacob’s Ladder. Lyne’s surreal and frightening exploration into the depths of a troubled human mind concentrates on a veteran of the Vietnam War, Jacob Singer (Tim Robbins), who is mourning the loss of his child while relentlessly being tormented by unusual flashbacks and nightmarishly grotesque hallucinations. 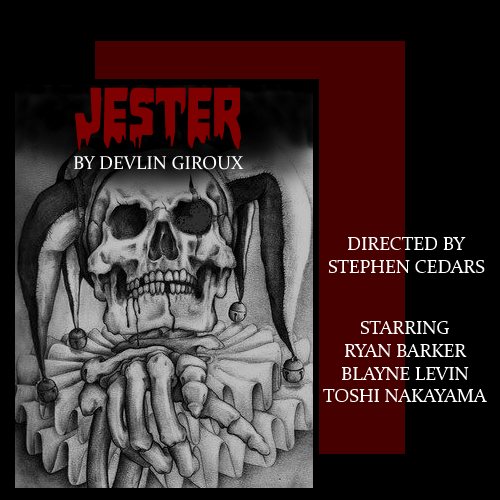 Struggling to preserve his sanity, he struggles to decipher the truth and reality of his past and present while contending with his dreams and concept of death. Opinions are certain to be divided when it comes to reflecting upon and analyzing this film. Some consider it a work of genius and true testament to the sub-genre of psychological horror while others dismiss it as disappointing and absurd. Regardless, I consider the film a visceral and somber excursion into the realm of psychological horror with profoundly engaging characters. The film’s intelligence is principally exemplified in its aptitude to effectively shift between moments of astounding eeriness and overwhelming despair. Scout locations for upcoming events, shows, and parties. Help us write and shoot a series of short videos encouraging people to donate and help fund live horror. Sell program ads to local businesses, or arrange for trades - we'll give them a program ad in exchange for free rehearsal space, program printing, etc. Design merchandise for our SpreadShirt store, and create stickers and other swag we can sell or give to donors. Create flyers and postcards for upcoming events. Solicit donations that can be used as donor incentives and gifts from horror-themed businesses and service providers (i.e. "Donate $25 to La Petite Morgue and receive a Zombie Mafia CD"). Design a new template/layout for our website/blog,tumblr, etc. Blog about horror - most importantly, live horror - and help us build our blog's readership. Preview and review upcoming horror events in local and online media. 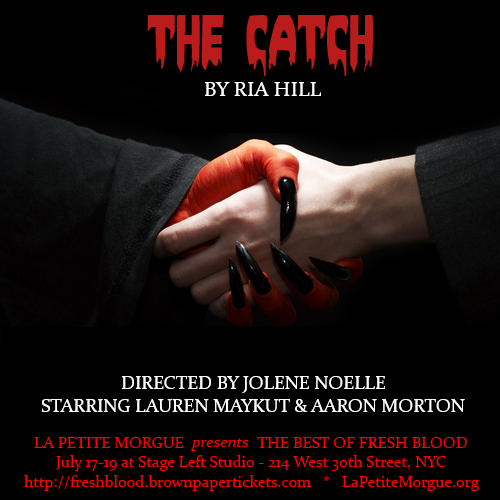 Represent La Petite Morgue at horror conventions and other events. If any of this appeals to you, please write to: lapetitemorgue@gmail.com - send a short note telling us about your relevant skills and what kind of project you would like to take on. There are universal challenges faced by those who produce live entertainment, especially those who do so in New York City. The rising cost of performance space. The financial commitment involved in facilitating a rehearsal process. Audiences with ever-shrinking disposable income and a myriad of alternate entertainment options. The psychological exhaustion of encouraging communication and mediating disputes in an art form defined by the necessity of collaboration. Indie and amateur producers face yet more challenges - first and foremost, the question of how to keep actors, directors, and technicians motivated when no one is being paid for their time and talent. How to find, borrow, make, or steal that which the company needs, but which the company cannot afford to buy. How to walk the line between imitating professional theatre and presenting yourself as the cheap and fun alternative to same. Sure, lots of shows use special effects, but I would argue that special effects are uniquely crucial in the horror genre. Hitchcock said, "There is no horror in the bang - only in the anticipation of it." Creating suspense depends on the writing, directing, and acting, and if those elements aren't top-notch, all the fake blood and squibs money can buy won't make a play scary. But, I would argue that what Aristotle referred to as spectacle is more important in this genre than any other. The dramatic climax of a play needs to be satisfying for the audience. If the dramatic climax of a play is a violent murder, then the audience is likely going to want to see that murder - usually with as much detail and realism as possible. The Greeks may have been fans of off-stage violence and gore, but most modern audiences feel they need to see it to believe it. 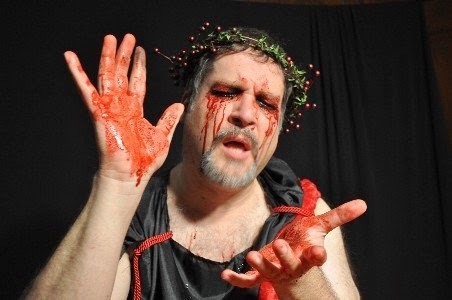 is rolling his eyes because he thinks that blood looks like Kool-Aid. Pretend you're directing a play. And that play ends with a brutal stabbing. You want your actor holding a knife that looks sharp enough to cut through human flesh. But if you ask an actor to hold a knife that is actually sharp enough to cut through human flesh, you run the risk of it actually doing that. Directors and producers have a responsibility to ensure that their actors are 100% safe - while simultaneously making the audience believe that those same actors are in terrible danger. Stage combat is complicated enough in the average play, but in horror, we add a variety of weapons, sometimes even guns, into the mix. For example, this year's festival shows featured the following weapons: a knife, a box cutter, a letter opener, and a phone (bashed over someone's head to knock him unconscious). You'd be surprised how much time I personally spent trying to add just enough foam padding to the bottom of the phone so that Blayne didn't accidentally slip one night and give Ryan a concussion, but not so much that the audience would find themselves wondering, "Why does the bottom of that phone look like a giant marshmallow?" Everyone in the audience knows, intellectually, that one actor is not actually slitting the throat of the other actor with a box cutter, in a room full of witnesses. They know it. And yet... when the stars align, and the effect works perfectly, they still see that happen. Intellectually, they know that what they are watching is not real. But seeing something happen has an effect on you, separate from the intellectual reaction your brain is aware of. And, if everyone has done their job properly, then with a little bit of blind luck, someone sitting in the audience can have a real, visceral, emotional reaction to something that they simultaneously know is make-believe. Steve Barrett, for the awesome photography, and the desk! And finally, thank you to everyone who supported the festival by buying a ticket! Without an audience to terrify, it's not theatre, it's just a bunch of weirdos playing make-believe - so thank you for playing with us! If you didn't get a copy of the program, you can download a PDF program - and if you didn't have a chance to buy a sweet LPM T-shirt, you'll have another chance at our next event. Just give us a month or two to recover first. This live horror thing is exhausting. 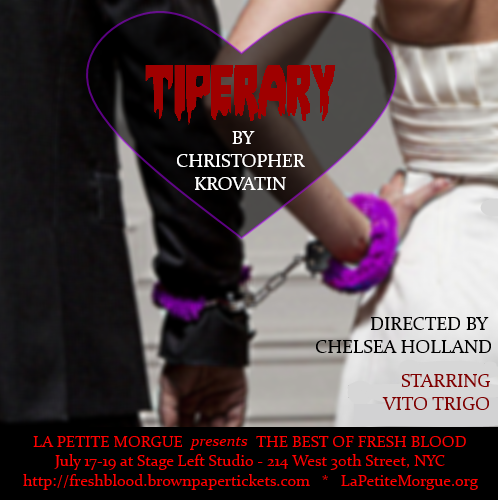 NYTheatre.com Previews "The Best of Fresh Blood"